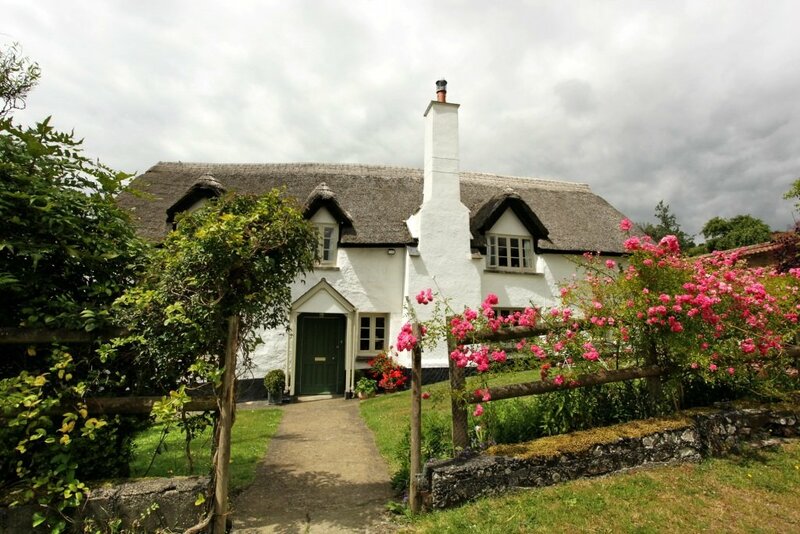 Brook Farmhouse is an ancient thatched farmhouse, full of charm and character. The comfortable and spacious accommodation has beams and oak panelling dating back hundreds of years. Tucked away in a peaceful Devon valley, we are surrounded by woodland and beautiful countryside. Breakfast is served in the oak panelled dining room, with a roaring fire in the Inglenook fireplace in the winter, and in the summer the sun streams in. Enjoy either a full English or Continental breakfast with fresh fruit and yoghurt, homemade preserves and free range eggs. We also serve apple juice made with the apples from our orchard. Guests can make tea and coffee in their room, or may prefer to sit cosily by the fire or in the garden depending on the time of year. There are always homemade biscuits to have with your tea. Brook Farmhouse is ideally situated for touring Devon and Cornwall. We are between the North and South Devon Coast, and there is also easy access to the Cornish beaches. Dartmoor is a short drive away, with all the walking opportunities that it has to offer. We have maps and walking books available for guests to borrow along with local knowledge of walks and good places to eat. We have pubs and restaurants close by and we are also only a few easy miles to the centre of the Cathedral City of Exeter.